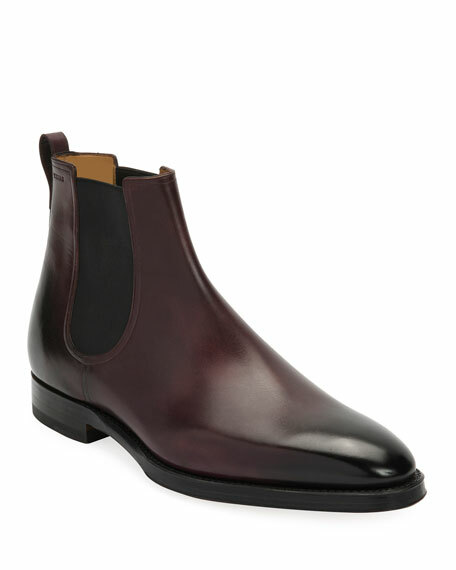 Bally Chelsea ankle boot in calf leather. Goodyear welt construction developed exclusively for Bally. "Scarano" is made in Switzerland. 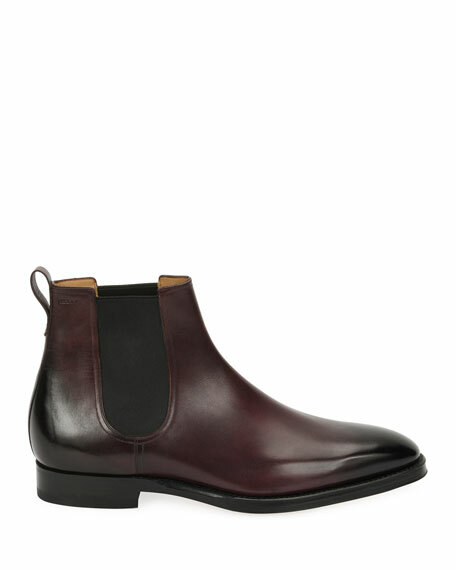 Hunter Boot men's handcrafted natural rubber Chelsea boot with matte finish. Waterproof up to elastic gusset. 1.3" flat heel; 4.3"H shaft. Round toe. Gored side insets. Looped backstay. Pull-on style. Quick-dry nylon lining. Cushioned insole. Lugged rubber outsole. "Original Refined" is imported.